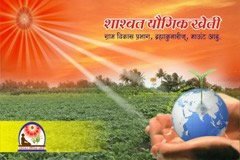 "India is an agricultural country. 70 percent of India's population still lives in villages. However, to improve farmers health and economic life, Sustainable Agriculture is also essential with Organic Agriculture". The aforesaid views were expessed by Agriculture Minister, Radha Mohan Singh, while Launching All India Farmers Empowerment Campaign organized by Rural Development Wing of Brahmakumaris, in Talkatora Stadium Delhi. He said that agricultural research institutions have been working continuously in this direction. But the rural development Wing of Brahmakumaris organization is not only working for yogic agricultural but also for developing mutual goodwill, brotherhood, respect and elimination of social evils and addictions, which is admirable. He said that agricultural research institutions have been working continuously in this direction. But the rural development Wing of Brahmakumaris organization is not only working for yogic agricultural but also for developing mutual goodwill, brotherhood, respect and elimination of social evils and addictions, which is admirable. He said that the efforts of institutions like Brahmakumaris for prosperity of agriculture and farmers are beneficial to farmers and government. While farmers will produce more by the yogic agriculture, their health as well as the economy of the country will also got benefitted. Research of Brahmakumaris Rural Development wing in the field of yogic agriculture can bring a new revolution in development of villages. This will be proved influential to the overall rural development. 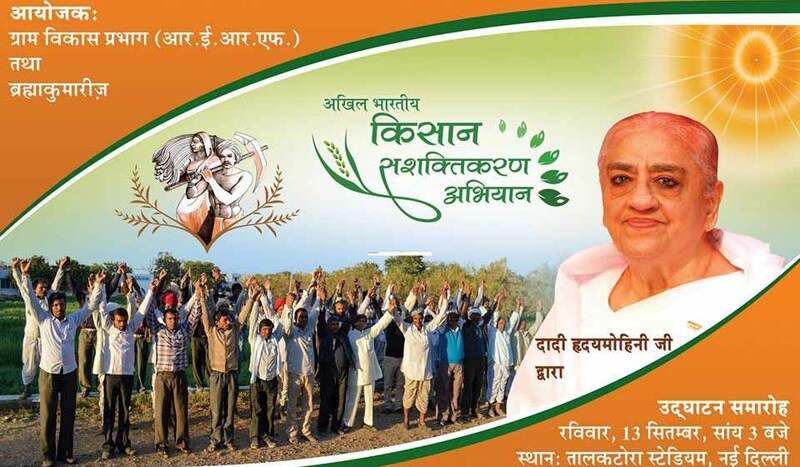 Brahmakumaris Institute Chief administrator Dadi Hridaymohini said that until we will provide all kinds of support to farmers and villages such as physical, technical, moral and spiritual support, we cannot imagine the village and the country's overall development. She expressed hope that this campaign will be proved as an important initiative for the all round development of farmers and villages. Main spokesperson of the institution B.K. Brij Mohan Kumar said that the principle of cultivation and life is same and that is “what you bow that you reap”, means u will eat the fruit of your labor. Union Minister of State for Rural Development Shri Sudarshan Bhagat, conveyed his best wishes for the success of this campaign. On this occasion, school children presented cultural program focusing on rural development. More than three thousand farmers, agricultural specialists, agricultural administrator and several distinguished guests were present in this program.